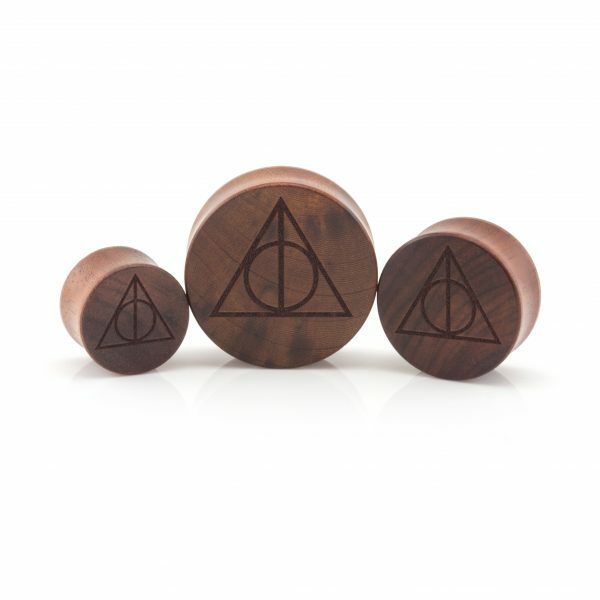 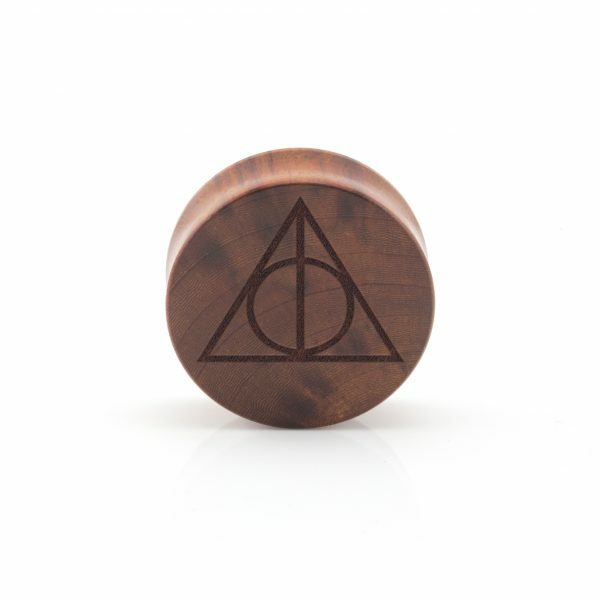 This deathly hallows ear plug is laser engraved by us in house giving it that personal hand made touch at a price that’s affordable. All our laser engraved products are made to order and pass strict quality control to make sure your finished product is of the highest standard. Organic saba (rose) wood ear plug, lightweight & warmer on your ears in cold weather. 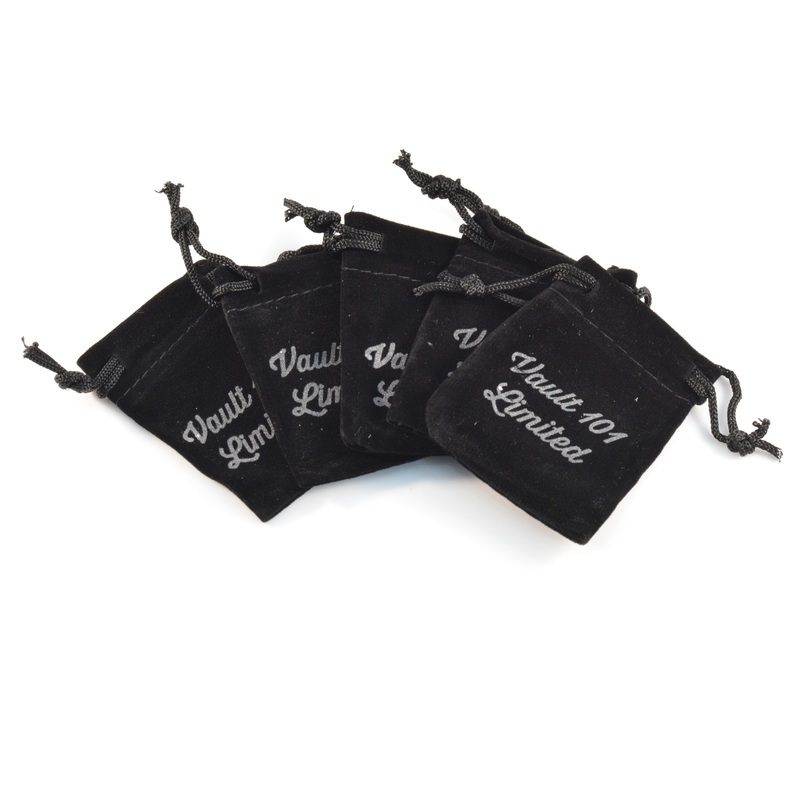 Each one is as unique as you so colour may vary to image shown due to this being a natural organic product. You can have this item custom laser engraved with a design of your choice! heat over to our custom plugs section to learn more!